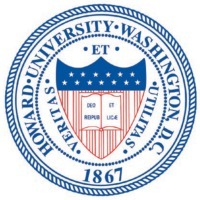 Review: Howard University is a federally chartered, non-profit, private, coeducational, nonsectarian, historically black university located in Washington, D.C., United States. It has a Carnegie Classification of Institutions of Higher Education status of RU/H: Research Universities (high research activity). Today, it is a member school of the Thurgood Marshall Scholarship Fund and is partially funded by the US Government, which gives approximately $235 million annually. From its outset it has been nonsectarian and open to people of both genders and all races. Howard has graduate schools of pharmacy, law, medicine, dentistry and divinity, in addition to the undergraduate program. Location & access map for "Howard University"